National All is Ours Day is about noticing nature and the world around you and taking pleasure in the beauty you see. The holiday also encourages people to appreciate our surroundings and embrace the gifts that we all have in common. Being grateful for and sharing what we have while not dwelling on what we don’t is a way to extend the meaning of the day and to live more simply and more happily. There are picture books that tell their story with no words and picture books that charm with hundreds of words, and then there is Marsha Diane Arnold’s Mine. Yours., which fills the pages with the abundance of emotions and opportunities life offers using only three words. As a little panda meanders through the forest, he comes upon a cave and wanders in. He wakes up the older panda sleeping there with his question: “Yours?” The older panda gets up and with a wave of his hands and one word, he makes it clear—the cave is “Mine” and the little one belongs outside. Image copyright Qin Leng, 2019, text copyright Marsha Diane Arnold, 2019. Courtesy of Kids Can Press. The tyke runs into the forest to find a place to fly the kite, but—as kites do—it has a mind of its own. It careens into a pangolin pounding a drum, a fox and raccoon playing a board game, a fishing cat with his pole in the water, an otter rafting down the river, and more unsuspecting animals trying to go about their day. They each proclaim their ownership over their possessions and remind him that the kite is his. With a tug, the big panda brings all the animals and all the stuff back to earth in a heap. They cheer, and with a new perspective, shout, “Ours!” This brings many changes of heart and an invitation from the big panda to a party in the cave—complete with plenty of food, fun, and games to share. Not only is Mine. Yours. a book about sharing, it is truly a book to be shared. The prompts of Marsha Diane Arnold’s thought-provoking “mine” and “yours,” combined with Qin Leng’s expressive illustrations provide many opportunities to discuss the various meanings and emotions behind these words and the actions they elicit. Readers will be enchanted by Qin Leng’s pen-and-ink and watercolor images that are full of humor and consternation as the little panda innocently interrupts the regular routine in the forest. As the suspenseful drama ensues the animals, who are for the most part engaging in individual pursuits, are brought together and discover that the friendship of “ours” is liberating—and more fun too. Children will enjoy discussing the action and how each animal feels about what is happening, which is clearly readable in their facial expressions. While the animals react crossly to the initial disruptions, subtle changes in attitude are apparent—especially when they see that the little panda is in danger and hurry to help. Opportunities abound for talking about the ideas of kindness and compassion, accidents and intension, inclusiveness and community, and even the fact that learning continues throughout one’s life. A list of the Asian animals featured in the story can be found at the beginning of the book. An excellent book for opening discussions that allow children to express their ideas and relate their experiences concerning possessions, community, and sharing, Mine. Yours. would be a welcome addition to home, classroom, and public library collections. Discover more about Marsha Diane Arnold and her books on her website. To learn more about Qin Leng, his books, and his art, visit his website. Called a “born storyteller” by the media, Marsha Diane Arnold’s award-winning picture books have sold over one million copies and been called “whimsical” and “inspiring.” She has two new picture books out this spring – Mine. Yours. and Badger’s Perfect Garden. Born and raised on the Kansas prairies, Marsha lived most of her life on a hill overlooking redwoods and oaks in Sonoma County, California, and now lives with her husband in Alva, Florida, surrounded on two sides by nature preserves. Family and nature are her two great loves. I’m happy that Marsha dropped by again to talk a little about her inspiration for Mine. Yours. and how it all came together—fascinating! When you conceived this story, did you have a specific situation or incident in mind? What was the inspiration for Mine. Yours.? The idea for Lost. Found. came to me in a dream. Though both stories were challenging, Mine. Yours. took more time to figure out and more rewrites, as there wasn’t the same dream inspiration that assisted me with Lost. Found. Created with just two words, this picture book is a true collaboration between you and illustrator Qin Leng. Can you describe the process that went into bringing this book to life? As with Lost. Found., I wrote very specific art notes to go with each word, to show what I envisioned for each particular page. Qin Leng and I never spoke after the manuscript was accepted and I had minimal contact with my editor. They faithfully “followed my lead.” Qin’s gorgeous details and whimsical facial expressions make the book come alive. Just look at grumpy Big Panda giving Little Panda a teeny-tiny bit of bamboo and Little Panda’s disappointed face! It’s amazing how much expression Qin is able to get with just a few lines. Qin Leng infuses the story with so much suspense and humor. What was the most surprising detail of the illustrations for you? What is your favorite spread? I know! I love the suspense and humor and was thrilled when I first saw Qin’s gorgeous illustrations. However, there were no surprises, as I had specified exactly what was to happen. The only spread that is different from my notes is the final spread, but when my editor and Qin wanted to go a different way with it, my editor shared about that prior to my seeing it. I do love the image above with Little Panda and the kite along the stream. It feels so serene, a calm before more storms. And the page with the word “Ours”, after all the animals have come together to save Little Panda, is a favorite. There’s such a depth of emotion in the words “mine” and “yours” for kids and adults (from the positive pride one feels in accomplishments to the not-so-positive proprietary side of things), and sharing can be difficult for anyone regardless of age or what one has. What would you like for readers to take away from your story? Mine. Yours. is about kindness, compassion, and community and I’d love for my young readers to take those feelings away from the story. It’s a bit like my 2018 book May I Come In? in its theme of inclusiveness and opening your door to friends who knock. I actually haven’t thought about this before, but look at the final pages of each one. Community! Ours! Image copyright Jennie Poh, 2018, text copyright Marsha Diane Arnold, 2018. Courtesy of Sleeping Bear Press. 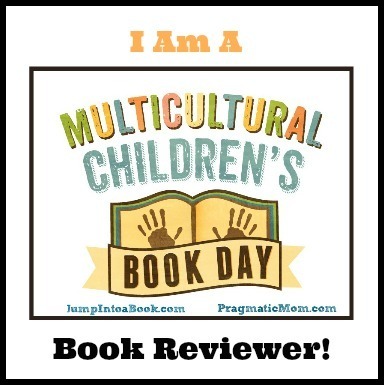 Thank you for letting me be part of the Celebrate Picture Books community! Thank you, Marsha! I always enjoy our chats about your books and your generous, thoughtful answers! To enter Follow me @CelebratePicBks on Twitter and Retweet a giveaway tweet. This giveaway is open from April 8 through April 14 and ends at 8:00 p.m. EST. Prizing provided by Kid Can Press. Giveaway open to U.S. addresses only. | No Giveaway Accounts. You’re welcome to make these activity pages yours—why not print two or more copies and create some “ours!” fun!